Here it is! 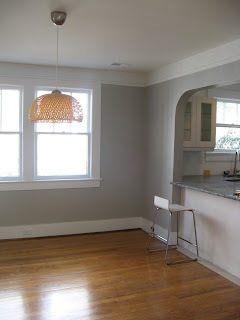 We painted the dining room and living room gray! A cooler tone of neutral than your typical beige. It's actually much more subtle than it appears in the photos. Can't wait to get moved in. We also painted the front bedroom today (still need to remove the tape), and started the second bedroom, but will have to finish tomorrow. 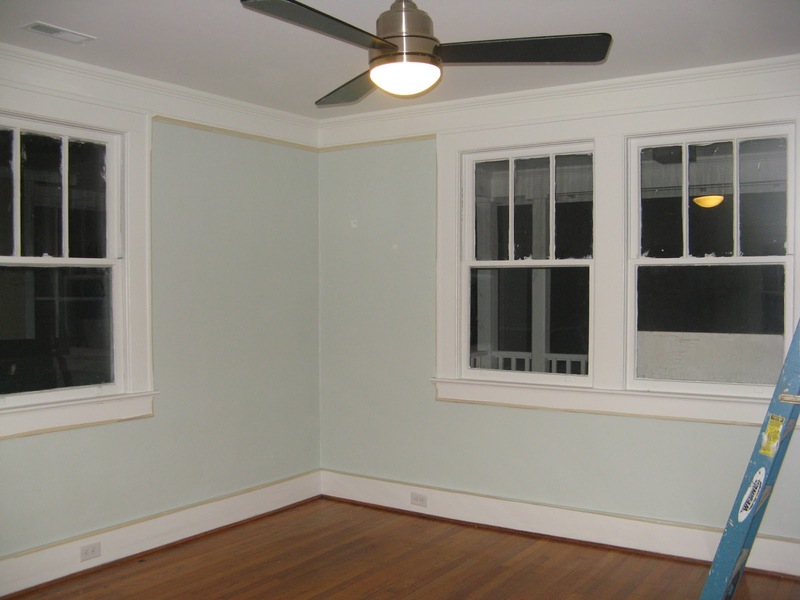 The color we chose is a bluish-green that's actually quite soothing. We are pooped! More paint adventures to come, tomorrow! I wanted to mention that a couple walking by the house, stopped to ask what color the exterior was, to which Brian was quick to reply "Sherwin Williams Lemon Verbana", he later said, "well, we'll know where they live soon enough because their house will be the same color as ours". Ha! For some reason, it made my day that someone liked the color enough to ask what it was. I cannot tell you how many times I wanted to stop and ask random people what color their houses are. BUT, I love the color of our house, so I'm glad I never followed through with that plan! Thanks also to Alicia & Sandra for stopping by in the morning, and Mary Mac & Cooper for bringing over a six-pack in the afternoon. Those were welcome breaks in our day! We love showing everyone the progress! ya for grey! it looks FAB! I love that gray. 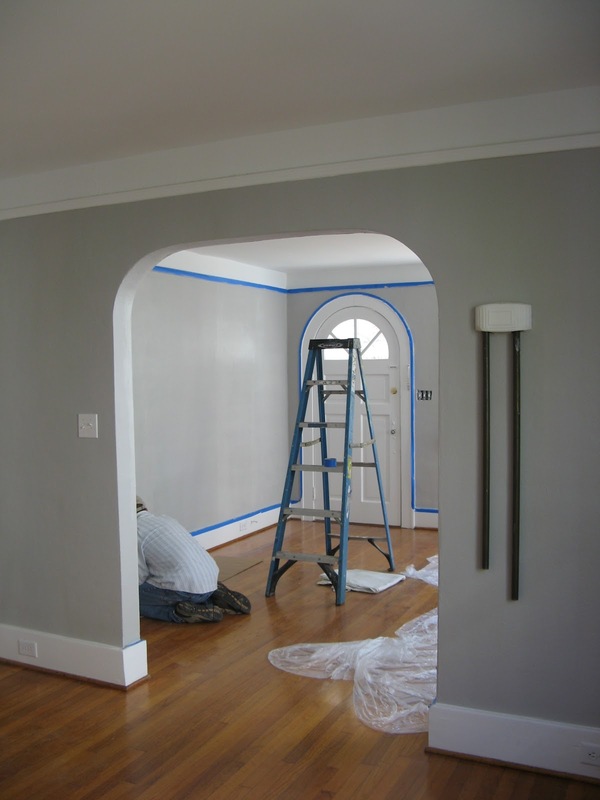 I am planning on painting my living room like this. We have natural wood color trims but I want to paint them white. I am not sure if I should paint the trims first and then the walls? what's the order recommended? I think it's a matter of personal preference, but I would say walls first. I hate taping off trim, and I feel like it would be easier to get the walls done without that worry, and then go back to the trim once dry. But I know there are arguments for both ways! Good luck!